The Bulgarian Astronomical Society (BGAS), founded in 2000, is a non-governmental organisation. It is administered by a president and a board of governors that includes established scientists from all the astronomical institutions in Bulgaria, directors of Public observatories and planetariums and a representative of the amateur astronomers. At present BGAS has about 70 active members. 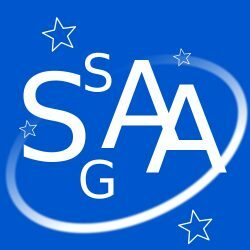 The membership of the BGAS includes professional and amateur astronomers, graduate and post-graduate students, and teachers. The main goals of the BGAS include creating a comprehensive long-term strategy for the development of Bulgarian astronomy, promotion and public outreach of astronomy. On national level BGAS facilitates research, outreach and educational activities, organises the Annual Conference of the Bulgarian Astronomical Society, and participates in the creation of national strategies and policies for astronomy and astrophysics research and education. BGAS is responsible for the relations with European astronomical bodies such as ASTRONET and the European Astronomical Society (EAS). BGAS takes part in national and international research, outreach and education projects, such as the FP7 project Researcher's Night 2009 ? Star Night, the International Year of Astronomy 2009, IAU100:Under One Sky, Erasmus+ Education projects, etc. The Eurasian Astronomical Society (EAAS) was established in 1990 as the Astronomical Society of the USSR. It was soon reformed into an international non-governmental organization and officially registed according to legislation of the Russian Federation. The society is based on individual membership. Though its members are mainly from the countries of the former Soviet Union, its membership is open to professional astronomers from any country of the world. Every three years, the EAAS holds a congress, where three chairpersons and the Board of the EAAS are elected. 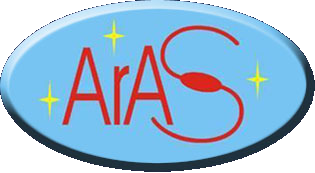 The main forms of the EAAS activity are organizing scientific conferences, publishing an information bulletin "Astrocourier" (in Russian) and a professional journal "Astronomical and Astrophysical Transactions (in English), defending interests of observatories and individual astronomers, supporting astronomical education and planetaria. The Finnish Astronomical Society was established in 1969 and includes over a hundred members. The members consist of professional astronomers and students, in addition to former professional astronomers who have moved on to teaching or outreach-related activities. The main task of the society is to promote astronomical research in Finland, and to connect astronomers working in different universities in Finland. The Hellenic Astronomical Society has about 200 professional members, senior (PhD holders) and junior (PhD candidates). Amateur Astronomers are not members. A good fraction of the members of work abroad. The Society holds a scientific meeting every other year. The presentations are in English and quite a few of the participants are non-Greek. Prominent Astronomers from around the world are invited to give Plenary Lectures. 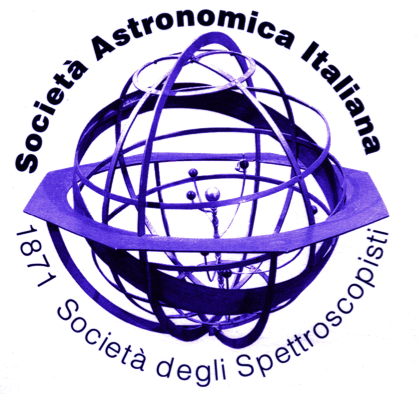 The Italian Astronomical Society (SAIt) was founded in 1920, when the activities of Italian Spectroscopy Society (born in 1871) were coming to an end. The headquarters are in Florence, where the secretariat resides. SAIt counts professional astronomers, high-school teachers and amateur astronomers among its members, who are distributed throughout Italy. Through them, SAIt promotes the scientific culture and the astronomical knowledge from schools to the general pubblic. It is also involved in activities related to national and international special events, and participates in national and international projects of relevance, such as the International Year of Light in 2015, the IAU AstroEDU program, the 100 year anniversary of IAU, the bi-centennial celebrations for Angelo Secchi, the celebrations for Guido Horn D'Arturo and the recognition of the importance of his multi-mirror telescopes with the dedication of the ASTRI telescope to him. Among its main activities, SAIt organizes courses for high-school teachers, to help them better insert astronomy in the school curriculum. On behalf of the Ministry of Education, SAIt organizes the Italian Astronomy Olympiads, and is part of the International Astronomy Olympiads. To prepare students for the competition, together with the Italian Institute for Astrophysics (INAF), SAIt organizes courses and schools for students and their tutors. A national meeting is organized annually, usually in collaboration with INAF, where astronomers and educators can discuss recent discoveries and progress in astronomy (underlining the Italian involvement), scientific projects, education and outreach activities, in general the present and the future of the astronomical community at large in Italy. 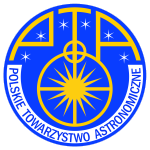 The Polish astronomical society was founded in 1923. It has in 2019 262 members, all professionals. Its aim is to unite Polish researchers from various institutes, support astronomical efforts, publish magazine and TV series, organize national conferences/assemblies, represent astronomers to policy makers/ministries, organize annual week lectures for young researchers with outstanding researchers, and apply for grants. The CNRA was founded in 1933, the first committee inside the Romanian Academy. The Romanian Astronomical Journal is under its professional patronage. The Turkish Astronomical Society (TAD) was founded in 1954. TAD is the official representative of Turkey in IAU and in EAS. The society has almost 150 members (in 2019) with almost 100 having a PhD degree. TAD is the professional organization for the astronomy in Turkey since its foundation. Nowadays, society discusses to change its statue to incorporate students and amateur astronomers as members. TAD organizes symposiums, workshops, astronomical meetings, public outreach activities and teacher training programs in the national level. Especially, National Astronomy Meetings held biennially are the main astronomical events in Turkey in the professional level. TAD started to publish Turkish Journal of Astronomy and Astrophysics (TJAA) for professional astronomers and it has been publishing ?The Sky? magazine ("Gökyüzü" in Turkish) for amateurs since 1957. Ukrainian Astronomical Association (UAA) is a non-governmental public organization of the Ukrainian astronomers-professionals. 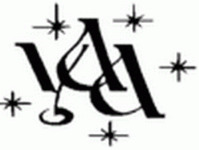 The UAA was founded in 1991 and since that year the UAA coordinates the astronomical activity in Ukraine. Our organization has a widely developed structure that includes divisions in many cities of Ukraine where the astronomical institutions of the National Academy of Sciences of Ukraine and the Ministry of Education and Science of Ukraine are located. There are about 1000 persons in Ukraine involved in astronomical researches. Ukraine is the country, where the astronomy subject is included in the educational standard for about 48000 secondary schools. There are several planetariums, which are opened to public. The UAA serves as the National Committee of astronomers of Ukraine in the IAU and the EAS. Our members take part in expertise of projects proposed by the National Academy of Sciences of Ukraine, the Ministry of Industrial Policy, the Ministry for Education and Science, and others. The UAA members take an active part in advertizing the astronomy and space research through newspapers, magazines, and TV and radio communications. The documentaries about famous astronomers and observatories are produced with our assistance too. The list below provides the minutes of the so-called "Business Meetings" held yearly by the EAS Council with the representatives of the EAS Affiliated Societies. These meetings were called "Council Meetings" until 2008 (see article V.1 of the EAS By-laws). Since 2012, the Business Meetings – held during the EWASS/JENAM conferences – were superseded by meetings held separately in Rolle, Switzerland at the beginning of each year. The Rolle meetings are inspired by the special meeting held in 2008 in Leiden, Netherlands. The EAS is working hard to increase its presence on the European Astronomical scene on which it uniquely represents the community of the researchers. These efforts include several on going actions like job market, the preparation of position papers, the Newsletter and the e-news to quote a few. They also include the European Week of Astronomy and Space Science (EWASS) as our yearly meetings have become known. EWASS meetings are traditionally organised jointly between the EAS and a national society affiliated to the EAS. The set of the meetings have now become well established and include EAS symposia, special sessions and plenary talks. The quality of these meetings has become very high in the last years. It is time to think about the evolution of the EWASS meetings and to make them become the natural scene on which the whole European astronomical community meets to take stance of the progress in the different astronomical fields and to work towards increasing and improving the continental collaborations. The main aim of the meeting is to set the scene for this evolution. The goal of the EWASS meetings should be discussed as well as their structure and organisation together with the steps that must be taken by the EAS to reach this goal. The meeting took place as planned in Rolle along the Lake Geneva February 1 in very cold conditions. The different societies presented themselves and some of their achievements, plans and the like. A discussion on the relationship between ASTRONET and the EAS took place, following a presentation of ASTRONET. This discussion led to a clear understanding of the respective roles of EAS and ASTRONET and to the remark that EAS members must take their position seriously and use the opportunities that EWASS meetings offers them to develop and build a solid and constructive dialogue with European and intergovernmental organisations like ASTRONET, ESO, ESA, CERN and others. A significant part of the discussions was taken by in depth considerations of the two major concerns of the EAS, namely the fact that many members of the active professional astronomical community, who are members of national astronomical societies, are not members of the EAS and the related fact that the resources of the EAS are too scarce for the society to be as active as it ought to. Many constructive proposals were made to help resolve this difficulty. The RAS representatives proposing, for example, that members of national societies become on a quasi automatic way members of the EAS with a rather small yearly contribution. These proposals were intensely debated. Both the EAS council and the affiliated societies will consider them in depth. EWASS meetings were also discussed at length. The purpose of the meetings and their present structure was largely found adequate and steps towards larger meetings, more representative of the community were also discussed. A number of concrete elements of the meetings to come were suggested and will be taken into considerations by organisers. The discussion on the evolution towards larger meetings led back to the issue of the funding of the society. It was clear that the EAS needs a budget of some 300'000 Euros per year to achieve its goals and that this must be well within reach of a community of some 10'000 professional astronomers and a number of organisational members. EAS council members and officials from affiliated societies left with a number of issues to discuss and some rather concrete actions. It is hoped that the Rolle meeting will be a step towards the construction of an effective European Astronomical community. Europe is in the special situation of the co-existence of a European and National Astronomical Societies. The particular situation of Europe and how it is coming together requires such a coexistence. 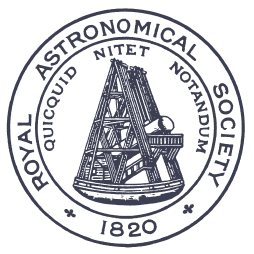 It is obviously important to coordinate the activities of the European Astronomical Society (EAS) and the national (Affiliated) societies in order to maximize the benefits for European Astronomy as a whole and for astronomical research in the individual countries. design a model of cooperation between the EAS and Affiliated Societies which optimises the interaction and information flow between astronomers in the member states on the one hand, and pan-European institutes on the other. The European Astronomical Society (EAS) invited all its Affiliated Societies to a Workshop held in Leiden, at the Lorentz Center, from 21-23 January 2008, entitled: "Astronomy in Europe: An Evolving Collaboration", the first ever meeting of its kind. The aims of the meeting were manifold: i) to exchange information of what role the Affiliated Societies currently play at a national and European level; ii) to discuss the role of the EAS, now and in the future; iii) to promote collaboration between National Societies, on a regional as well as European basis; iv) to design a model of cooperation between the EAS and Affiliated Societies which optimises the interaction and information flow between astronomers in the member states on the one hand, and pan-European institutes on the other; v) to work towards a Memorandum of Understanding which defines how the EAS and Affiliated Societies, by working together, can increase their effectiveness and visibility. It is important to have a well functioning collaboration between the EAS and the national (Affiliated) Societies in order to gain maximum benefit for European Astronomy as a whole. This also means that the respective positions and tasks of the main players have to be well defined. The 3-day meeting was held under the auspices of the European Astronomical Society and organised by its Secretary on behalf of EAS Council. The local organisation was in the able hands of the staff of the Lorentz Center and Prof. Harm Habing (Leiden Observatory) acted as local contact person. In total 38 participants, predominantly presidents or secretaries representing 23 Affiliated Societies plus the entire EAS Council participated in what turned out to be an extremely useful event. The meeting opened with a talk by Peter Barthel, the chair of the Program Board for Astronomy of the Lorentz Center who presented the mission statement of the Lorentz Center and encouraged the community to consider making use of its excellent facilities. The main topic of the first day was a presentation and discussion of the EAS position paper. The second day was devoted to presentations by each of the Affiliated Societies. If one thing stood out of those presentations it was the enormous diversity in scope and purpose of the various societies. Some are strictly set up for professional astronomers, others count large numbers of amateur astronomers among their members. Some societies are active players on the astro-political scene, whereas others fulfill a more social need. Clearly, there is strength in this diversity and it will be up to the EAS to harness this and put to good use. On an individual basis, representatives of the societies present were able to exchange experiences and set up bilateral agreements for further collaboration. The final day was used to highlight the services currently offered by the EAS and to explore ways to improve the communication between the EAS and its Affiliated Societies, and between the societies. Part of the discussion was devoted to the proposed changes to the EAS Constitution and Bye-Laws. The workshop has been a resounding success and EAS Council is now working hard on the implementation of several of the suggestions which were endorsed by the Affiliated Societies. Astronomy in Europe is blessed with a diverse community. It is up to the EAS, in partnership with the National Societies, to encourage and promote collaboration among all participants, to the benefit of its membership and of the European community as a whole.